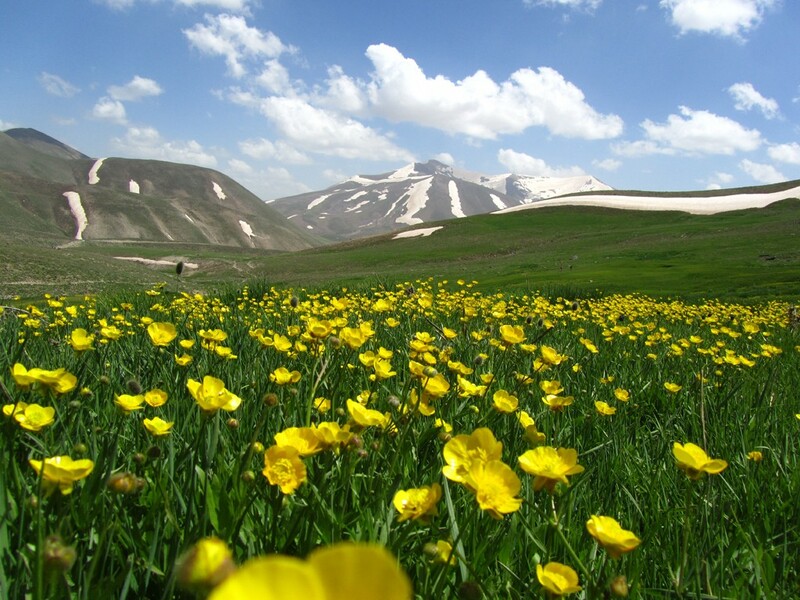 Iran’s varied geography and climate make it one of the few countries that has four seasons year round. When it’s snowing in Tehran, Shiraz is in full bloom with spring daffodils, and further south, Chabaharis in the middle of summer. To get the best experience, it’s important to visit the right region in the right season. Here, we explore the best hiking trails that not only highlight Iran’s unique geography, but also its various ethnic groups and nomadic tribes. Talysh Mountains with its two peaks, Tilar and Bâghro Dagh, lies along the borders of the provinces of Iranian Azerbaijan, Zanjan, and Gilân, merging natural and cultural diversity. Visitors will first encounter a forest, before coming upon a meadow where the sheep wear bells so as not to get lost in the mist brought from the Caspian Sea. From Soubâtân village, which is full of flowers, visitors can hike to Abbas Yurdi and the foothills of Baghro Dâgh where nomadic tents are spread, down to Tiun Lake. Tourists will brush with Talysh, Gilac, and Azeri Turkish languages and cultures, and the luckiest will be those who witness the nomadic kuch, migration. Located in Azerbaijan, Sabalan is a dormant volcano whose crater at 4,811 meters is a lake that freezes in the winter. The foothills are famous for their hot springs and valleys, the most well known of which are Sarein and Shirvân Dareh respectively. After visiting the sites in Ardebil, where Azeri Turkish is spoken, visitors can go to the hot springs of Ghotur Sui just before Meshkin Shahr (known for its ashe doogh soup) and then to the Shâbeel hot spring, which is surrounded by giant orange lilies. From here, only experienced and professional hikers should continue to the peak, as special equipment is required. July and August are the best times to visit. 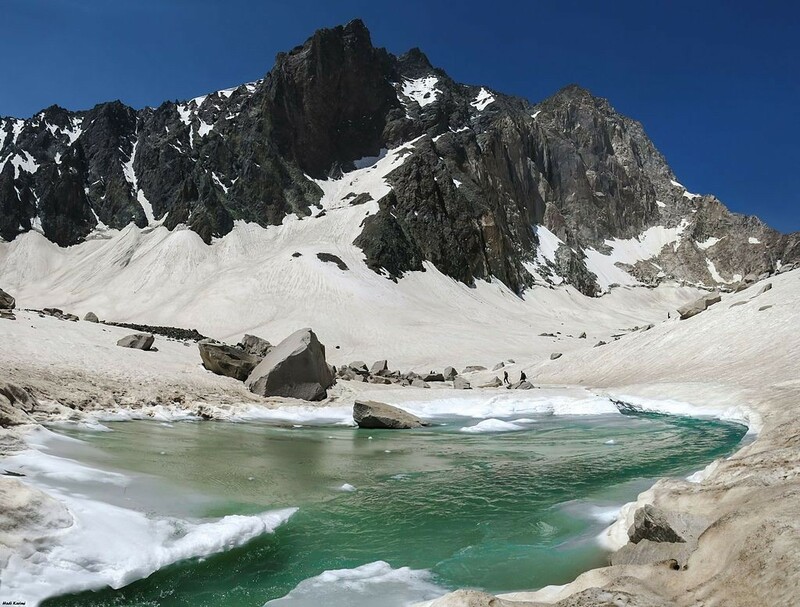 Located in the Alborz mountains, the Takhte Soleymân range has 160 peaks over 4,000 meters, the highest of which is Alam Kuh at 4,850 meters, complete with notorious 90-degree ice-and-rock climbing wall. Although there are four routes, the recommended one is from Roodbarak in Kelardasht from the north. 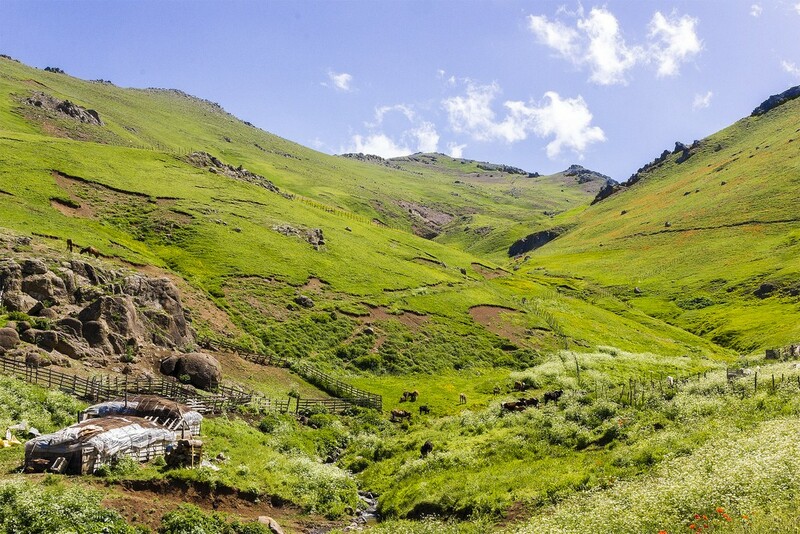 Visitors should drive 1.5 hours to Vandarbon and Khoramdasht, where rural farms raise sheep for milk. From here, it’s a 1.5 hour hike to the flatlands of Hesar Chal, which are blanketed in grass and yellow flowers and surrounded by peaks and glacial lakes. A popular camping site in the summer, wildlife here includes mountain goats and rams. 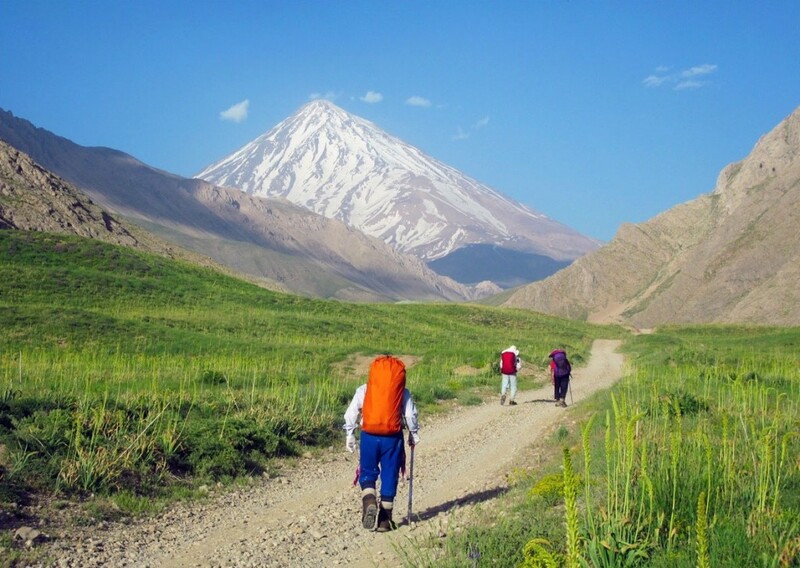 Damavand is not only the country’s symbol and highest peak at 5,671 meters, it’s also known as the “roof of Iran.” Located in Mazandaran in the Alborz range, this peak is a dormant volcano with smoke coming out of its southern side, and unlike Sabalân, the crater is full of snow. One of the 16 different routes, Yakhan Valley, is considered impossible to ascend. Though most hikers hike the southern route, which has a hot spring, the more scenic path is through Dashte Dagh. From Tehran, drive to Haraz Road toward Lar dam, which takes you to Dashte Dagh and Panahgah Simorgh hiking trails. Those who can make it to the peak will be rewarded with a breathtaking view of Lar valley. Visit in the summer. The Alborz range runs from northwest to the northeast. 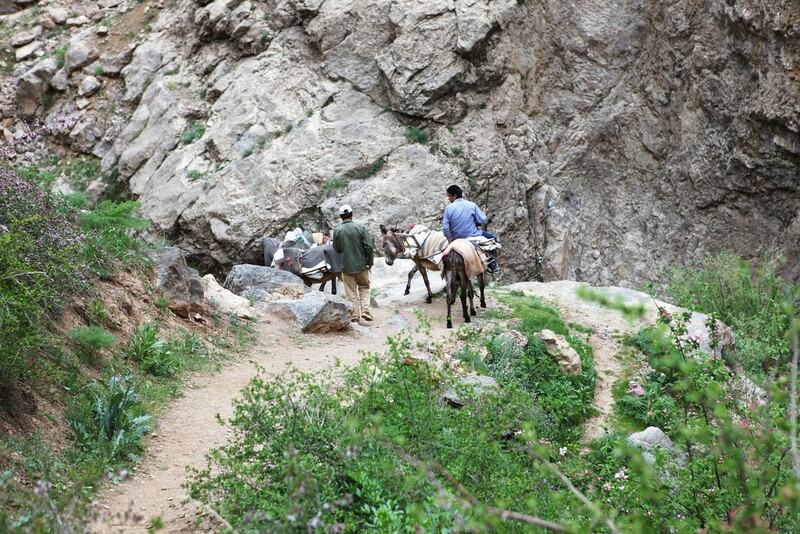 As both sides of the range were inhabited, mules were traditionally used to get across. One of the routes is from Taleghan, a beautiful valley with a dam two hours northwest of Tehran. From Taleghân, go to Parâchan village, located in the southern foothills of Takhte Soleyman, where there are 40 peaks and three walking paths. The recommended path to Sehezâr Valley requires renting mules and allows you to pass another rural sheep farm and hot springs before reaching your destination. The best time to go is from summer to early fall. Located in the Zagros Mountains in the Chaharmahâl and Bakhtiari province, Zard Kuh is named for its yellow dirt, and the highest peak, Kolunchin, stands at 4,221 meters. It’s recommended to start at Shahre Kord, the center of the province, and head toward Fârsan and Chelgerd before arriving at Kohrang lake, where the Bakhtiari nomadic tribe makes their summer migration. While spring is the best time to visit, there are slopes that make skiing possible in the winter. Kerman is a paradox of climates, as on one side, it borders the Lut Desert, the hottest place on earth, and on the other it has mountains, water, and greenery. Many peaks, including the 5th highest in Iran, Hezar Kuh, are located in this province. The recommended village and peak, however, is Lâlezâr at 4,351 meters, 144 km south of Kerman city and north of Baft. From Lâlezâr you can reach Tange Ardi, where the grassy fields are full of red roses (once poppy fields) in the spring. 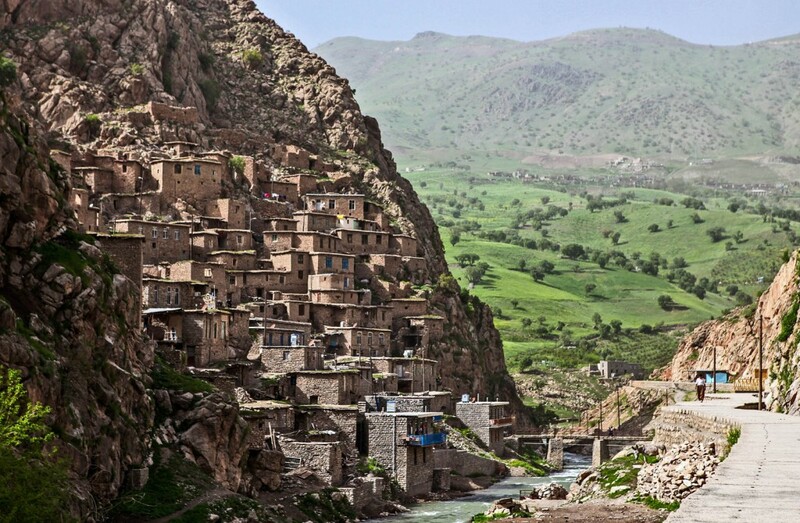 Located in the Zagros mountains, Iranian Kurdistan is a beautiful province, where the local language and customs are Kurdish. This region allows visitors to enjoy the untouched nature of the province, while becoming more familiar with the Kurdish culture. One of the most famous peaks is Shahoo, and the Uraman Takht valley has a unique beauty with homes built like steps along the mountain. 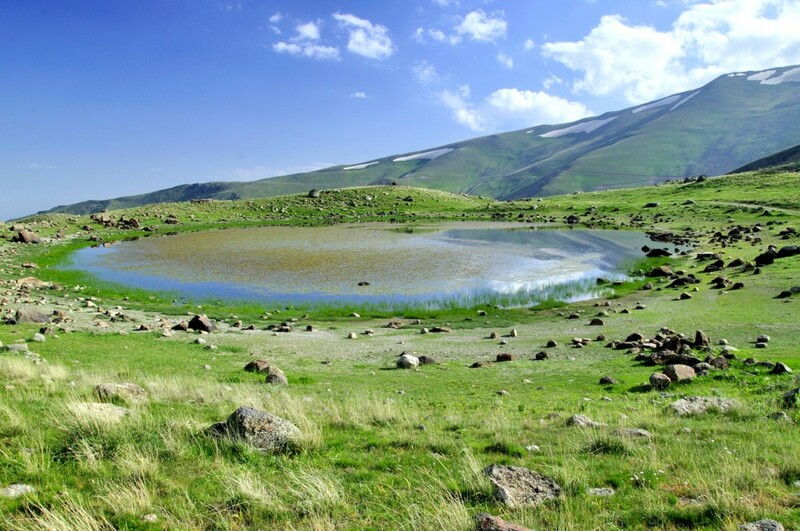 Lake Zerivar in Marivan is also a popular place to hike, but the natural beauty of Uraman Takht is indisputable. In contrast to other mountains in Iran, which are rocky, Sahand is mostly dirt, making for excellent pastures. It’s no wonder that the best sheep and cheese are from Lighvan, near Tabriz. The highest peaks, Jam and Kamal, can easily be reached with no equipment from two routes: Tabriz and Maragheh where visitors can witness nomadic life. To kill two birds with one stone, try Soltan Daghi peak. First, you can visit the troglodyte village of Kandovan, with its cone-shaped homes carved into rocky mountains, and then head toward the peak, passing the violet flowers in the foothills. If you can reach the peak, the view will compensate your efforts. 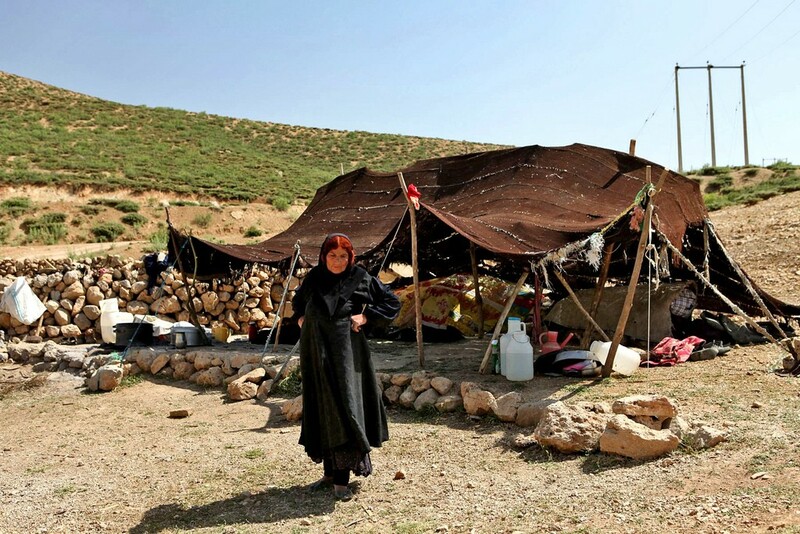 Eco tourists will find that aside from forests and mountains, trekking in Iran even involves deserts. 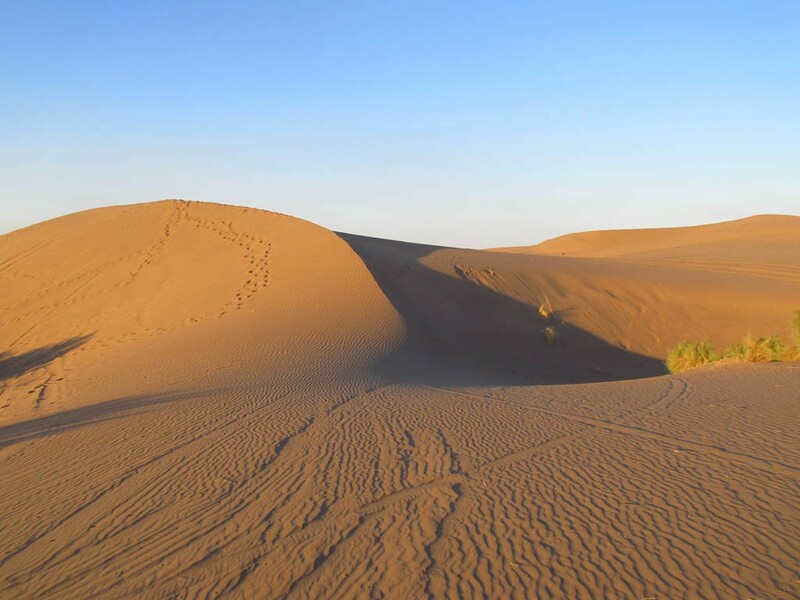 While desert trekking requires a bit of expertise and visitors must be accompanied by a professional, it is an experience that should not be missed. Mesr is one of the most famous deserts in Iran, with its wind-cut sand dunes. The best month to go is October, when you can camp under the moonlight without freezing, and go camel riding during the day without getting uncomfortable hot.